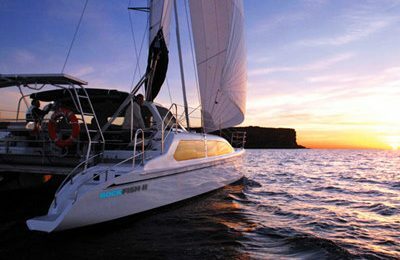 Say “Bye” to the land, sail away to stunning Sydney harbor on a romantic sailboat. Behold Sydney harbor, one of the most stunning harbors in the world, from an ocean vantage. To charter or hire this 2017 year brand new 37′ Sailboat has never been easier. This yacht is from German yacht builder Bavaria, so comes with a solid hull, yet offers great sailing performance, with a sleek exterior look and contemporary interior design. You will have a roomy sitting area right at the cockpit, covered by a over sized Bimini to provide extra shade. Bellow the deck, there is a gourmet kitchen and another dining area. relax on the front deck, along with a cold beer, let the sea breeze and fabulous view surround you. Over look the opera house from the sea, the sun is about to set over the harbor bridge, enjoy the breath taking view along with a glass of champagne. A gorgeous afternoon out on Sydney harbor is right ahead. Base price includes yacht rentals, fuel, dock fee & captain. 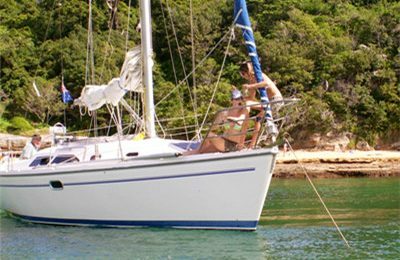 Base price includes 3 hours yacht rental & captain hire, insurance & tax. Extra hour rate is USD 100 for each hour. 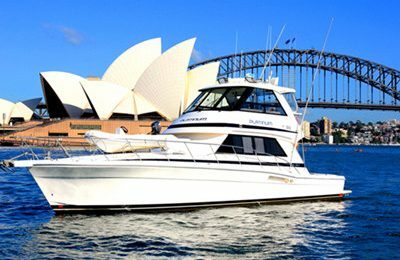 Standard picking up location is:Balmain adjacent to the Thames Street Wharf, however, picking up can be arranged at another harbor where convenience for you, please call your captain to discuss after you submit booking. A brand new 2017 Bavaria 37 feet ( 11.5 meters)monohull sailing yacht. 3 bedrooms, 1 restroom & shower,fully working kitchen. A friendly and knowledgeable local captain. Deckhand is available for hire at $40 per hour rate in case you need. 3 hours from leaving the dock. Extra hour rate is USD 100. Handling this sailing yacht is available upon request, captain will be happy to share sailing experience with you.